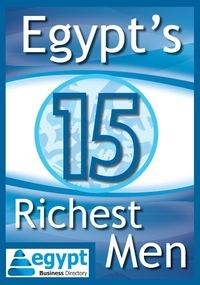 MEED, the Middle East's leading business and economic analyses-provider, offers insights on Egypt's Projects Market 2012.
? The election of Mohammed Morsi as president in June 2012 and the subsequent formation of a new government have given Egypt the platform to develop a stable political system. Morsi has prevailed in a critical struggle for power with the military, but political turbulence is likely to continue for some time, amid controversy over the new constitution and a multitude of grievances among a radicalised population accustomed to venting their anger through street protests and strikes.
? The economic impact of the early 2011 revolution has been severe, with real GDP growth stalling and foreign exchange reserves falling by $20bn, or almost 60 per cent, in 18 months. Support from foreign donors and a loan from the IMF should stabilise the balance of payments and encourage a return of foreign direct and indirect investment, but this process could still be derailed by political factors.
? The government’s broad economic policy framework is similar to that of the late-Mubarak era, aiming to reduce the fiscal deficit through phasing out energy subsidies and relying on the private sector to generate jobs and growth. This approach is resented by revolutionary activists and there are questions about the calibre of the officials in charge of its implementation.
? The oil and gas sector plays a vital role in Egypt’s foreign trade and in government finance, even though the country is not a major global player. One of the key challenges will be to regain lost momentum in developing substantial offshore natural gas reserves. The financial close achieved by the Egyptian Refining Company on its $3.7bn Mostorod project in mid-2012 is a positive indicator for the downstream segment.
? The appointment of the head of the state petrochemicals company as the new oil minister reflects the priority attached to developing this sector. Since the revolution, progress has been made with a major ethylene derivatives project, as well as with the private sector-driven $3.75bn Tahrir Petrochemicals project at Sokhna, on the Gulf of Suez.
? Prolonged power cuts during the summer of 2012 emphasised the urgency of bringing on new generating capacity. About 4,000MW is due to come on stream by early 2014, but securing finance will be the key to the rate of progress on the next phase of expansion. Existing plans envisage a revival of the build-own-operate-transfer (BOOT) model, but this may not be viable. The government also faces hard choices on subsidies and fuel.
? The Egyptian banking sector held up well in the face of the revolution, testament to the efficacy of the reforms carried out during the previous decade. Bank assets have become skewed towards holdings of government securities, but they do have considerable leeway to increase lending to the private sector. The stock market has also recovered strongly from the battering it received in 2011.
? Upgrading Egypt’s transport sector offers major opportunities, including ongoing work on the Cairo metro, modernisation of the railway system and a second phase of the East Port Said container terminal. The government is also seeking to revive the $1bn Rod el-Farag Axis highway project, part of the public-private partnership (PPP) programme.
? The construction sector has been affected by the downturn in tourism and by the legal suits faced by many leading real estate developers. Many projects have stalled, but there have been some recent signs of a revival, including the award of the $810m contract for the construction of the Grand Egyptian Museum.
? Water and wastewater will be a priority sector, as has been reflected in the new prime minister’s decision to form a separate ministry for drinking water and sanitation. Most of the new wastewater projects that are planned have been configured as PPPs, although it is unclear how quickly these projects will proceed.
? A major electronics project announced by South Korea’s Samsung and the completion of an acquisition of a leading white goods manufacturer by Sweden’s Electrolux have illustrated Egypt’s continued appeal as a destination for industrial investment. However, questions linger over the high level of foreign ownership in the cement sector and over the withdrawal of five licences for new steel projects, some of which were at an advanced stage of construction.